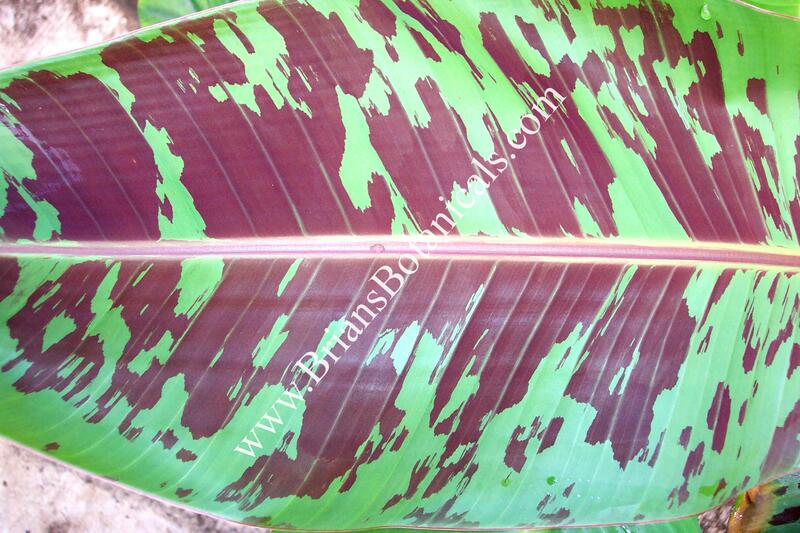 Musa zebrina or Blood Banana is a beautifully ornamental foliage banana with red blotches all over the leaves. It is a dwarf grower and usually reaches 10 to 12 feet tall. The under sides of the leaves are also red and so are the trunks. A great plant for large containers or in the landscape. Regular watering well drained soil.